Jamie Vardy turned down Arsenal because he was concerned he would not fit in with Arsene Wenger’s style of play, according to Sky Sports. The England striker signed a new contract on Thursday to keep him at the King Power, snubbing a move to the Emirates in the process. 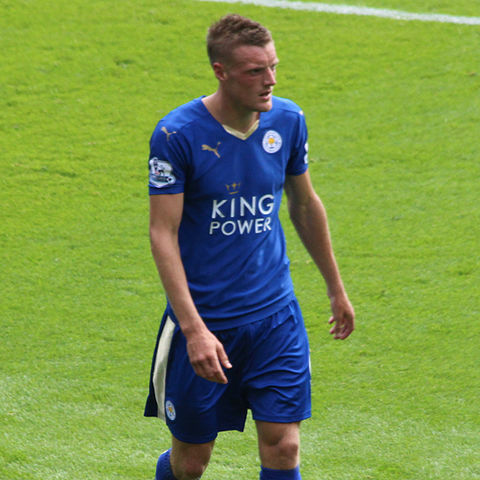 Sky’s sources report that Vardy was concerned that, having capitalised on Leicester’s long ball game last season, he would struggle to reproduce his form at the Emirates. Claudio Ranieri’s side operate in a very different way to the Gunners, as Wenger favours lots of possession. The Arsenal boss also couldn’t promise Vardy that he wouldn’t be played out of his preferred position, hence his decision to stay. It will have come as welcome news to Leicester, who are now hoping Vardy’s decision will inspire other stars Riyad Mahrez and N’golo Kante to remain at the club. If that happens, there’s no reason why they can’t push on and have another impressive campaign next season.